So my wedding is now less than 8 months away(eek!) and we are finally getting on the ball with organising the smaller things. The venue, caterers, church, flowers, dresses & photographer are all booked. So now things like favours, dance floors, decorations are on my mind and of course (the fun part) picking the Wedding List!! Dave & I havent decided for sure where we are having our list but one of the top contenders is John Lewis. 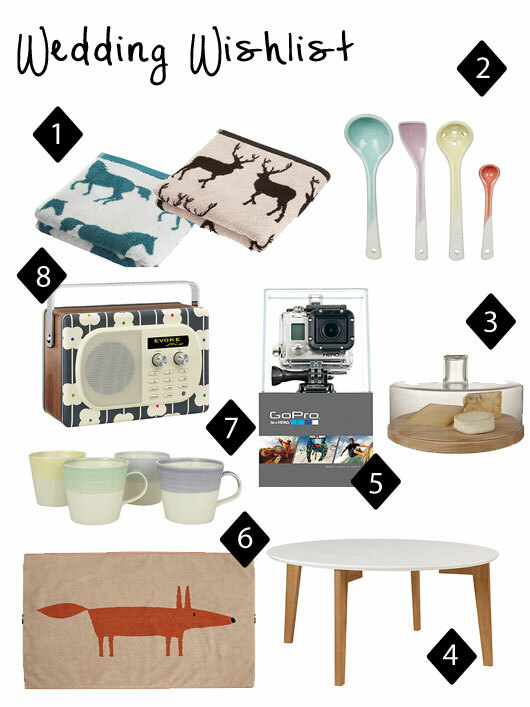 So I decided to do a little recky and look through the John Lewis site to see what pretty things I would like. Again window shopping is something I am becoming a pro at! Maybe not the most pratical of choices... maybe saucepans and cookware would be the first port of call. But come on, how pretty are all these things? That fox bathmat is literally the cutest thing in the world. I love foxes. I want that fox bath matt, I have bought my unborn child a load of fox related clothing!! I have a weird obsession! 8 months to go and you're almost done with the preparations! Wow! That is impressive. I bet you are really excited and can't wait to walk down the aisle. I hope you get to have everything in your wishlist. I would love to have all those stuff too. Anyway, good luck!